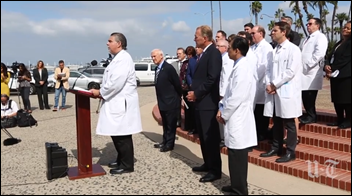 Expanded access to telemedicine services. Easier appointments of temporary HHS officials who will help redirect programs and resources. Refocusing resources within HIV/AIDs programs to help give patients access to substance abuse treatment. 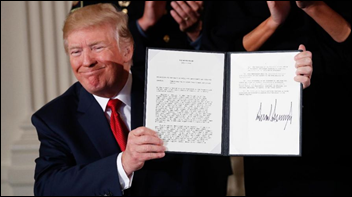 Issuing grants to help workers displaced from the workforce by the opioid crisis – a somewhat nebulous benefit subject to available funding. This week on HIStalk Practice: Greenway announces corporate, software overhaul. Oklahoma physicians prepare for major business changes ahead of looming Medicaid cuts. AMA President-Elect argues for less spending on hospitals, and more on primary care. AMA continues to eschew digital health snake oil comments with launch of new forum. CoinMD looks to create a cryptocurrency-based healthcare membership network. Pennsylvania helps prescribers connect EHRs to PDMP. Delaware taps HMS to help it better integrate behavioral health and primary care. Drchrono develops urgent care-friendly health IT. 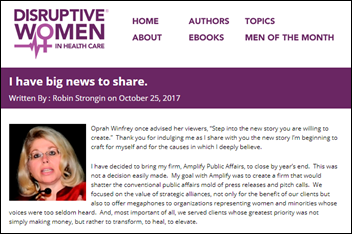 Another one bites the dust: HIMSS acquires the rights to the Disruptive Women in Healthcare media company. I’m not sure how much disruption will occur now that it’s been gobbled up by HIMSS, which plans on incorporating its content into its own female-focused media efforts. Tenet Healthcare (TX) decides not to put itself up for sale, though it will move forward with a strategic review of operations as it struggles to deal with $15 billion in debt. Sources believe the company has instead decided to focus on selecting a new, permanent CEO. 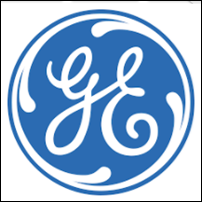 GE considers selling its healthcare IT and transportation businesses in an effort to meet a self-inflicted goal of divesting $20 billion in assets under the watchful eye of fairly new CEO (and former head of GE Healthcare) John Flannery. John McLean (Best Doctors) joins Kyruus as CFO. American Well hires Harry Kim (Samsung Health) as SVP of strategic partnerships. 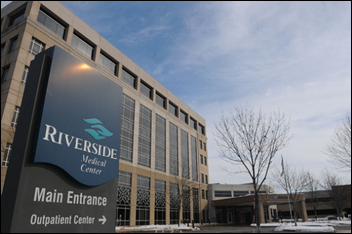 Hackensack Meridian Health (NJ) and Riverside Medical Center (IL) will implement Omnicell medication management and safety solutions including the Epic-friendly XT Automated Dispensing Cabinet. HCA’s HealthOne (CO) health system selects Philips Wellcentive’s cloud-based informatics platform. 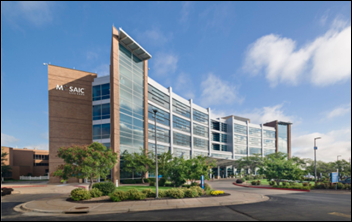 To help improve sepsis outcomes, Mosaic Life Care selects Wolters Kluwer Health’s POC Advisor clinical surveillance and analytics software. 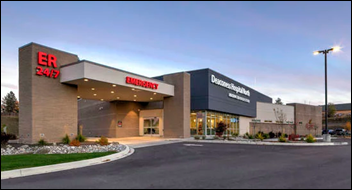 MultiCare Health System (WA) will spend $25 million on a staggered Epic implementation across its three Spokane facilities next year. 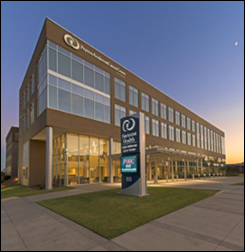 Navicent Health (GA) will implement Outcome Health’s patient education technology at its physician group locations. NantHealth develops a companion medication adherence app for its Vitality GlowCap smart pill bottle. ZeOmega announces Medicare Advantage-specific enhancements to its Jiva population health management platform. 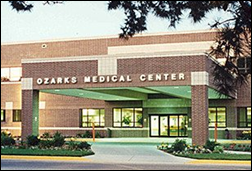 Ozarks Medical Center (MO) implements emergency management communications technology from LiveProcess across its hospital, clinics, and home health providers. 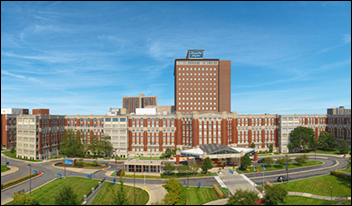 With help from IDSolutions, Henry Ford Health System (MI) adds Vidyo’s virtual visit technology to its Epic workflow. 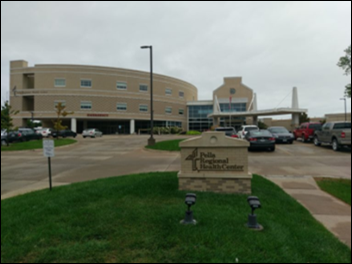 Pella Regional Health Center will go live on Meditech 6.15 November 1. Partners HealthCare works with Validic to test out adding blood pressure monitoring data from patient home health devices to its EHR and provider workflows. The organizations plan to move forward with broader device integration and data gathering early next year. HHS opens up applications for its Opioid Code-a-Thon, which will be held December 6-7 in Washington, DC. Prizes of $10,000 each will be awarded for solutions that focus on opioid treatment, usage, and misuse prevention. The UCSF Health Informatics team analyzes the movements of 85,000 hospitalized patients seen over three years by mapping EHR patient location and timestamp data. The information was then compared with hospital-acquired infection data in hopes of uncovering unknown transmission hotspots within the hospital. The team realized that patients who entered a particular CT scanner used in the ED were more than twice as likely to become infected with C. Diff than the baseline patient population. As a result, ED staff have been re-trained on how to properly sanitize the scanner. 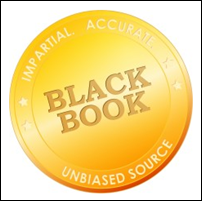 A majority of hospital CMOs report that post-implementation tech support will be a driving factor in their health IT purchasing decisions next year, according to new research from Black Book. Fifty-three percent of survey-takers believe their current EHR vendor is providing sub-par support. Cerner, Allscripts, Meditech, and McKesson received top support marks, while Stoltenburg Consulting was cited as a top third-party support firm. 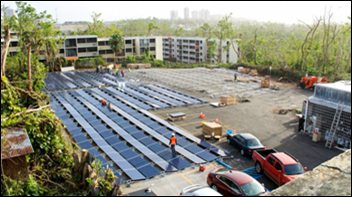 Tesla team members install a solar array that has helped restore power to San Juan’s Hospital del Niño. Tesla founder Elon Musk has said the power project is the first of many that will help Puerto Rico recover from two September hurricanes that have left the island without vital resources. MedData and Meditech will exhibit at the ACEP Scientific Assembly October 30-November 2 in Washington, DC. Netsmart will exhibit at LeadingAge October 29 in New Orleans. Nordic will lead focus groups at the CHIME Fall CIO Forum October 31-November 3 in San Antonio. NTT Data Services achieves premier-level service provider status in VMware’s Cloud Provider Program. Parallon Technology Solutions and PatientSafe Solutions will exhibit at the CHIME Fall CIO Forum October 31-November 3 in San Antonio. Clinical Computer Systems, developer of the Obix Perinatal Data System, will exhibit at the Perinatal-Neonatal Symposium October 30 in Williamsburg, VA.
Experian Health will exhibit at the Delaware Healthcare Forum October 31 in Dover. PatientPing hires Brad Shaw (Wayfair) as director of engineering. PokitDok achieves HITRUST CSF Certified status.